As someone how started a site on how to tie a tie it seems quite obvious that I would consider a poorly tied necktie the worst offender on this list. 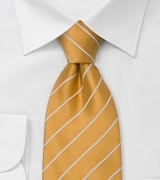 Mistakes include: a tie tied to short or too long, a flimsy looking knot that does not fill the gap between the collar, or a knot that shows any part of the narrow end of the tie. A tie should be tied so that it ends near the middle of your belt buckle. A tie that has been tied too short will throw of the entire look. There is no excuse for it! 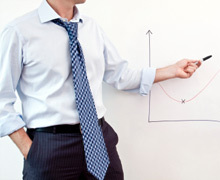 Even for tall men, most designers offer longer length ties. Check out my Tie Length Calculator to find out whether or not you should be buying XL sized ties. The necktie is usually the focal point of your ensemble. 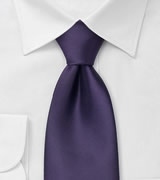 Thus, a wrinkled or stained necktie is immediately noticeable. While ties can not be washed or ironed (because doing so damages the inlay and drape of the tie), I suggest you always untie your necktie after each wearing. Hang your ties on a tie rack or over a hanger and the fabric will straighten itself out over night. I also suggest you rotate your ties, and never wear the same tie two days in a row. Yes, there are indeed some dress codes and occasions that will require you to wear a particular style of tie. 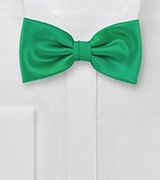 A perfect example here is the formal black tie dress code (requiring you to wear a self-tied black bow tie), as well as the even more formal white tie occasion (white self-tied pique bow tie). Common necktie accessories are tie-clips and bars, tie pins, and tie chains (click here for more info). While a tie bar can be a perfect addition to your look (especially when paired with solid skinny ties), you want to keep these types of necktie jewelery sleek and elegant. Tie pins, chains, and collar bars are no longer in fashion and should be avoided. Informative guide! 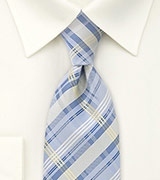 Would a solid blue tie clash with a faded blue shirt? Hi Bob, those colors on shirt and tie would work well, very well actually! Give it a try and send in a picture! You shouldn’t be wearing a faded blue shirt with the tie in the first place. Use a shirt that isn’t faded, and to extend the life of the shirt, wash in cold (for dark blue) or warm (for sky / baby aka lighter blue) water, INSIDE OUT. This will prevent fading and make your shirt last longer. Finally, make sure that your laundry detergent is marked “color safe”. I wear a tie with no shirt on at all. Ladies seem to like that look. What do you think? Hi Scott, tie bars and tie clips are the most common necktie accessories these days. Tie pins and chains are rare, but that is not to say that you couldn’t use them to make a very unique style statement. It all depends how you put the look together. Personally, I am not a fan of tie pins solely because they can damage your necktie. Collar bars are a great accessory that actually have been slowly coming back into style. I am a big fan of collar bars (if paired correctly with shirt, suit, collar, and tie knot). Year later and I’d still like to add my opinion. Besides all the things hendrik mentioned, people like scarcity. This is most commonly noticed when competing with other people for a woman’s attention, but it’s found at every level of human society. To exemplify, a man who has a beard in a society where beards are the classical norm is less likely to attract good attention than a man who clean shaves everyday. It’s exactly what hendrik said: “Common”. Always more fish in the sea. But a clean shaven guy in the same society, there are not as many people like him, just as there are not as many swordfish compared to sardines, so each swordfish grabs attention. Of course, if you have no idea about fashion (like me), potentially it is not wise to use uncommon accessories, but when you know the current fashion, uncommon can be a lot better than ‘common’. HI Michael, thanks for the great input. Your comment made me think of something Ralph Lauren said: “Style is very personal. It has nothing to do with fashion. Fashion is over quickly. Style is forever”. Is it necessary to always button the top button of a dress shirt when wearing a tie? Thanks for the good questions. No, it is not at all mandatory. But keep in mind that leaving your top button unbuttoned, and the tie slightly loose, will create a more casual look. It is less conservative and more relaxed. Personally I like wearing skinny ties this way when worn with cardigan sweater, dress shirt, jeans, and dress shoes. I recently learned to tie the Windsor knot; I must say I like it. Reading around suggests the Windsor knot is purely for special occasions and not for daily wear, is this the case? Thanks for providing a very useful website, some great advice. Hi Anthony, I have not heard of such a dress shirt. Is this a button-down collar, meaning a collar that is buttoned down to the dress shirt? Just saw this. Perhaps he means a tab above the top button that brings the wings of the collar in tighter and pushes the knot up and out a wee bit. I bought such a shirt as an experiment and it looks fine. Not amazing, but someone in the office noticed a tie I’d worn many times then HAD to know why it looked different. I don’t know if I was wearing the tie correctly, but under the tab would have been difficult. Thanks Charles for the input. I had a question regarding a facet of tie knots that I did not know about until just a few weeks ago: the tie dimple. Since someone pointed this out, I have been paying attention to the way a tie dimples right under the knot. What I’ve read suggests a dimple in the center is the correct way to wear a tie, but I have also heard those in the military are advised to not have a dimple in their ties. Do you have an opinion on the matter? That is interesting. I have not heard that Military men are not supposed to “dimple” their ties. This might have to do with the fact that the “dimple” is a bit more attention-grabbing, meaning less conservative. To dimple your tie is a personal choice, but one that is considered as stylish by most tie aficionados. The only time I would advise against dimpling a tie knot would be when wearing skinny ties. For those I prefer slightly asymmetric and somewhat imperfect looking tie knots. These give the trendy skinny tie a more casual, cool, and relaxed look. When wearing a named shirt meaning that there is a logo or other type writing on the shirt. When I was growing up I was always told that this was a no no. You do not ever wear a tie on a named shirt. Is this true? I would like a woman’s opinion. Do women still love seeing a well dressed man in a suit and tie, or is that past history ? Business and society is so casual now. It’s rare to find a business that asks its employees to dress professional. HI Larry, great question! IN fact I was wondering the same which motivated me to survey over a thousand people on this subject. Short answer is: YES! Women appreciate men who dress well and classy. This information is very subjective and ultimately elitist. You think the information provided is helpful must and be followed or else face ridicule. Very distastful and arrogant. Worst information on the Internet. Hi Paul, thanks for your input and opinion. Certainly, you can dress as you please and wear your ties any way you like. Just don’t expect to get too many compliments when you commit several easy to avoid tie faux pas. But again, dress in a way that makes you happy. All the clothes he had is in strip.. so should i get a plain tie for him?? While getting ready for a job interview, I noticed that the top button of my dress shirt was showing when I had my tie pushed up. Is this at all okay? I normally don’t dress like this, so I have no idea. I work in a factory, so the normal is jeans and t-shirts. But for a job interview, I always try to dress nice…regardless of what it is for. HI Clyde, yes that is quite common although it is preferred that the tie knot covered the top button(s) on the dress shirt. Possibly try a larger tie knot like the Windsor knot. Also, it may be the case that the shirt collar fits a little too tight for your neck size. Thanks. I found out that by leaving the very top button around my neck unbuttoned, it allowed the tie to work perfectly. And yes, it’s very possible that it was just too tight. It was a large shirt, but I have an 18″ neck. i wanted my 2015 office attire be a lil’ different from the norm– wearing a tie over my office shirt and im a girl. i just wonder if there’s a specific tie for girls. pls help. Hi Karla, most women that wear neckties use a regular men’s tie. If you are on the shorter/petite side, then you could also wear a shorts tie designed for boys. Should the regular sized men’s tie be too long, then you can simply cut off part of the narrow end and use some fabric glue to seal the seam to avoid fraying. I am fairly new to wearing and buying ties outside of military dress. I have noticed that when buying ties, they are all too short. I prefer a double Windsor knot, and my skinny ends always end up around my breast line. 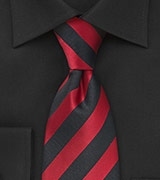 Do they make longer ties designed to meet this style? Thanks! Hi Kenny, yes they certainly make long length ties. Since most brick and mortar stores don’t stock them, I suggest shopping for them online. One store I recommend is Bows-N-Ties.com. They have over a thousand XL length ties in stock. Can i wear a tie and a collar tip chain? By and large I agree with you- skinny and shiny ties should have stayed in the 80s, not come back to haunt us. 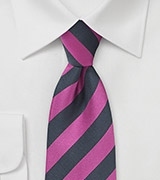 However, the crease in the tie is the traditional way to wear one. It’s just a case of not making it too big. Hi, As a female I wanted to share my observations and opinions on ties and tie collar bars, pins and clip accessories. 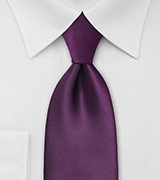 In noticing that some guys wear these it seems that their ties always look perfectly straight, giving a look of fastidiousness and trustworthiness because it makes the tie look like it’s owner took the time to do it well. A tie supported by a tie collar bar pin or clip even looks neater in a lineup of guys having a closeup of their upper body in interviews on TV so I asked my husband about it along with whether or not it was less comfortable to wear a tie collar or tie collar pin and what he thought it added to appearance. He said that as long as the actual shirt collar was the correct size(and especially for the tie collar bar type which has pre-made eyelet holes on the collar lapels), no problem. Then, in asking him ‘Why bother?’ He said it gives the type of neatness to the look that shows you give attention to detail and that he wore tie collar bars when he was in the Navy. He also says the neatness of his uniform did catch the attention of superiors on a few occasions and seemed to lead to a little faster promotions compared to others working alongside him both in the Navy and later in the Army when he decided after war to join up to pursue Military Police work. Very useful and informative article. I have to say, I disagree with your statement that collar bars are to be avoided. I’ve recently noticed them coming back in a big way, and with a slim silk or knitted tie they can really enhance one’s image (I always wear one for interviews and meetings). Tie pins (if plain and simple, like a single pearl for example) can also look dashing for a night out at the casino, for example, if paired with a light-coloured suit and wide tie. i disagree on #2. for a while there was a very fashionable trend in the late 80s to have the skimmy end fall a half inch lower than the wide end. probably the influence of max raab silk tango ties. to this day i have kept wearing that stylistic trend. Hi Max, thank you for your comment. You are indeed correct here. 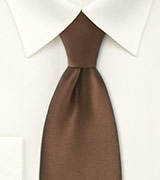 Italians like to show the narrow end of the tie dangling next to or under the wide end. But this is more of a style statement and rather exception than norm. Thanks for your comment and great question. If your husband’s height in inches + neck size in inches is over 91, then he should be wearing XL length ties that measure 61-63 inches in untied length. You can also tie a different tie knot that ties less of the tie’s length. The Four in Hand knot would be a great pick here. Thanks for getting us aware of the Mistakes to Avoid When Wearing a Tie. I read your complete article and found it very useful.